Corsica’s Mediterranean climate can bring drought and temperatures in excess of 35°C during summer and its mild, rainy winters can yield snow on its high peaks. 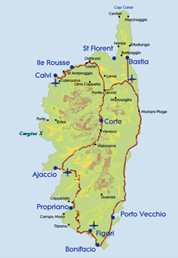 Corsica is marked by three climates and travellers should be aware to take altitude into account. Going inland from the beaches’ maritime Mediterranean climate, the land rises to mountain weather in the lower ranges and valleys. 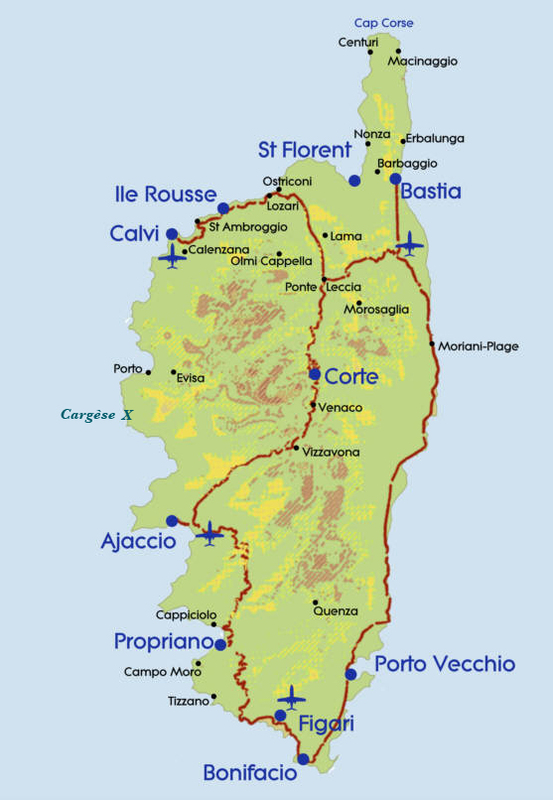 Corsica’s highest peak reaches 3,000 metres and at these altitudes, the mountain climate can bring alpine conditions. Pharmacies can be identified by a Green Cross. The workshop organizers cannot accept liability for personal injuries sustained, or for loss of, or damage to, property belonging to conference participants or their accompanying persons, either during or as a result of the workshop. Participants are advised to arrange for insurance to cover medical, travel, and personal effects while attending the meetings. Credit and debit cards are convenient. Visa and MasterCard (Access or Eurocard) are widely accepted; AmEx cards are useful at more upmarket establishments. In general, all three cards can be used in shops, supermarkets, for train travel, car rentals, autoroute tolls and cash advances. Remember you'll need to know your PIN number (le code) to use a credit card in many hotels, shops and restaurants. The cheapest and most convenient way to change money in France is via ATMs; they accept all the major international credit and bank cards. You get the best exchange rate by using a credit card for purchases and a debit card for cash. Travellers cheques are safe and almost universally accepted. Post offices that exchange travellers cheques give a good rate. Major train stations and fancy hotels also have exchange facilities which usually operate in the evening, at the weekend and during holidays, but the rates are generally poor. Euro notes come in denominations of 5, 10, 20, 50, 100, 200 and 500. It is often difficult to get change for a €500.00 note. One euro is divided into 100 cents or centimes. Coins of 1, 2 and 5 centimes are copper-coloured; coins of 10, 20 and 50 centimes are gold-coloured; 1 and 2 euro coins are gold-and-silver coloured. Letter boxes are yellow. Stamps can be bought in post offices, open Monday to Friday and Saturday morning, as well as in tobacconists. Telephone cards only, sold at the Post Office (PTT) or at tobacconists. Leaving a pourboire (tip) is done at your discretion - restaurants and accommodations add a 10-15% service charge to every bill, making a tip unnecessary, but most people leave a few coins if the service is satisfactory. Smoking is forbidden in public areas as well as in restaurants and bars.